The field of 32 full-season entries for the 2016 FIA World Endurance Championship season has been revealed Friday in Paris, with no major surprises. The breakdown of WEC entries is 9 in LMP1, 10 in LMP2, 7 in GTE-Pro and 6 in GTE-Am. There are no surprises within LMP1, and the new numbers for Audi and Toyota got revealed. Both had used 7 and 8 in the past with the other taking the champions’ 1 and 2, but Porsche takes those two numbers this year. Audi now will have Nos. 7 and 8, with Toyota having 5 and 6 next season. The Audis, notably, shift to being called just Audi R18s rather than Audi R18 e-tron quattro as in recent years. Team ByKolles has also joined Rebellion Racing in switching to Dunlop tires for next year. The LMP2 grid looks quite a bit different from last year. G-Drive now works with Jota, what had been OAK Racing’s crew is now with Tequila Patron ESM, SMP Racing adds two cars, RGR Sport debuts with Morand, DC Racing makes its debut and with KCMG now out of the class, there’s a lot of change. Manor has also been confirmed, the ex-Formula 1 team led by Graeme Lowdon and John Booth with an Oreca 05 Nissan. Signatech Alpine and Strakka Racing are the relatively unchanged entries compared to previous years. Even so, Strakka now starts the season with its Gibson 015S rather than the Dome Strakka S102 as last year. In GTE-Pro, it’s still a seven-car grid, but slightly altered from 2015. The two Ford GTs are the biggest arrivals, with Nos. 66 and 67. Meanwhile AF Corse has two new 488 GTEs and a new driver lineup with Sam Bird joining Ferrari’s factory roster, Aston Martin scales back from three cars to two updated Vantages and Porsche, notably, drops its works effort to a works-supported effort for Richard Lietz and Michael Christensen. GTE-Am has also been in flux and features only a six-car grid for the season. 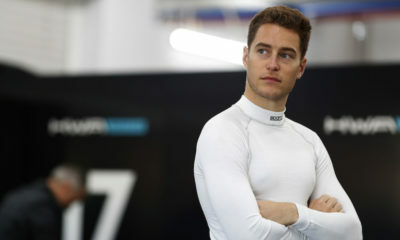 Porsche leads the way with three entries, including KCMG listed with Christian Ried as the nominated driver and with Gulf Racing UK also stepping up. Meanwhile Aston Martin, Corvette and Ferrari have one additional car apiece. As ever, all 32 cars will make up the bulk of the grid for the now 60-car grid at the 24 Hours of Le Mans. The Le Mans entries and those for the ELMS were also revealed Friday in Paris.